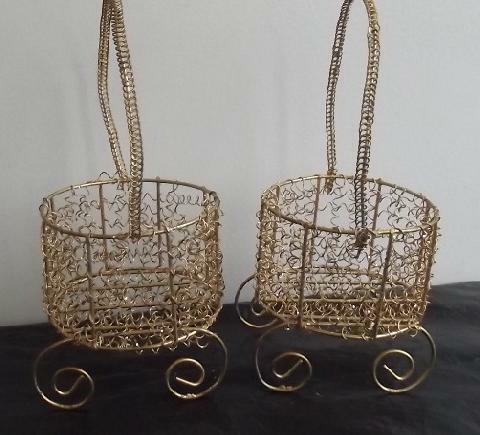 This item is available on E-bay! 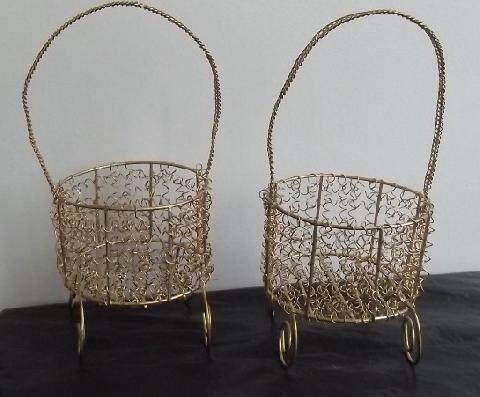 Goldtone Metal Baskets Set of 2 2 goldtone baskets with handle and little feet 4" in diameter and 9" high to the top of the handle. In good used condition..